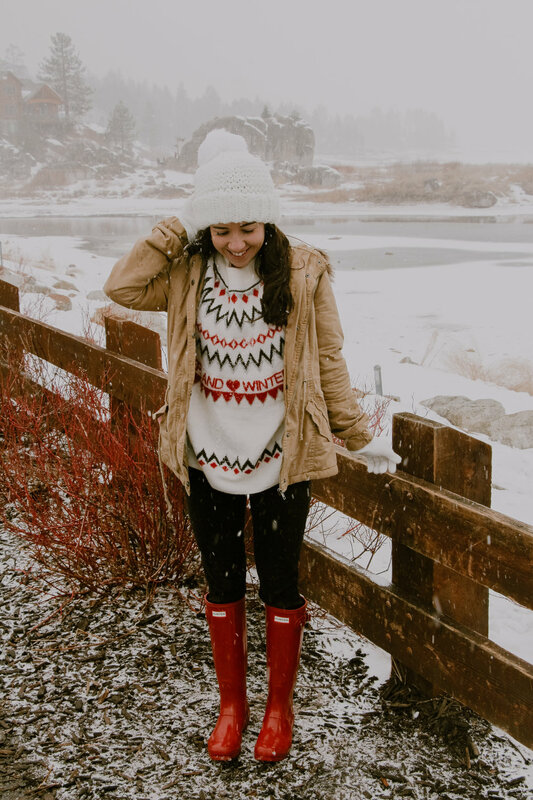 Nothing says wintertime like a trip to the mountains for some snowfall! Living only an hour and a half away from Big Bear, Paul and I couldn’t pass up the opportunity to drive up to the mountains for the day. Well, what should’ve been only an hour and a half drive I should say…actually took us about 4 hours (clearly everyone had the same idea as us 😅), but it still made for a fun adventure! I had only visited Big Bear one other time, about 5 years ago and this was Paul’s first time visiting. It was our first time seeing snowfall together, though, which was definitely super special! We had planned to get up to Big Bear by like 11:30/noon - prime brunch time, but due to the crazy traffic, didn’t end up there until closer to 1:30. So by the time we got there we were absolutely starving and needed food ASAP. We stopped at the closest place we could find called Blanca & Pierre’s and ended up loving it! A super simple diner, with a really yummy breakfast/lunch menu and super friendly staff. Paul ordered himself a classic cheeseburger (he loved it) and I ordered a pancake with a side of eggs and hash browns and I truly don’t think I’ve ever eaten anything so fast - it was so good! 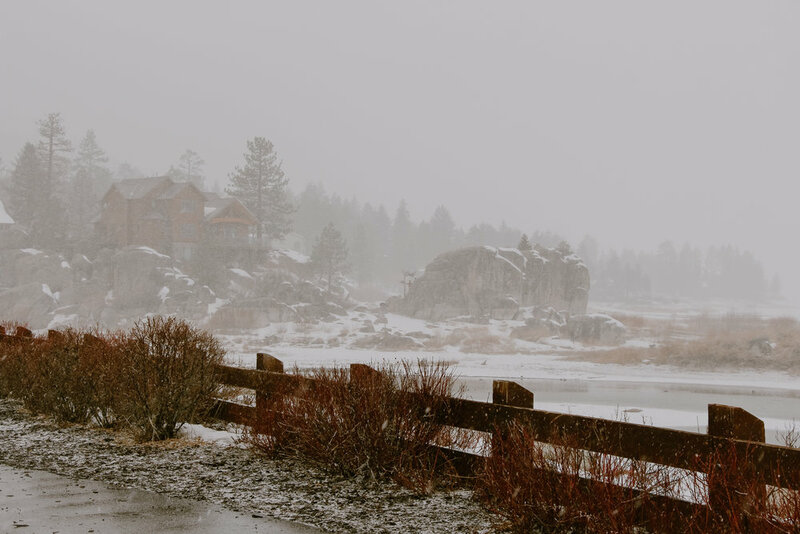 After our very yummy brunch, we walked along the lake area that was right next to the restaurant and got to witness the snow falling, which was so beautiful - felt like something out of a Hallmark Christmas movie! 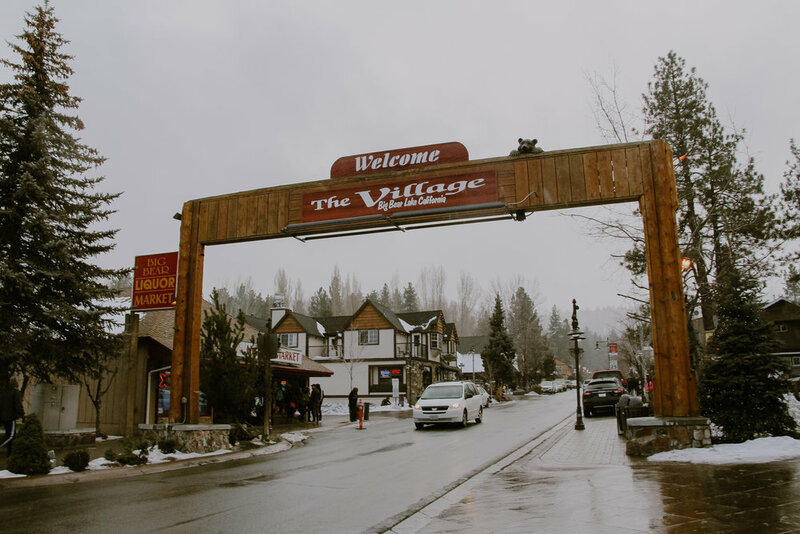 After taking some pictures and admiring the snowfall, we drove into Big Bear Lake Village to stroll through the local shops. I think my favorite part of the village was seeing all the different bear statues the stores had out and around their storefronts haha. And for my fellow Christmas lovers out there, the store Christmas Store N More is a must stop - so many unique Christmas decorations and ornaments! 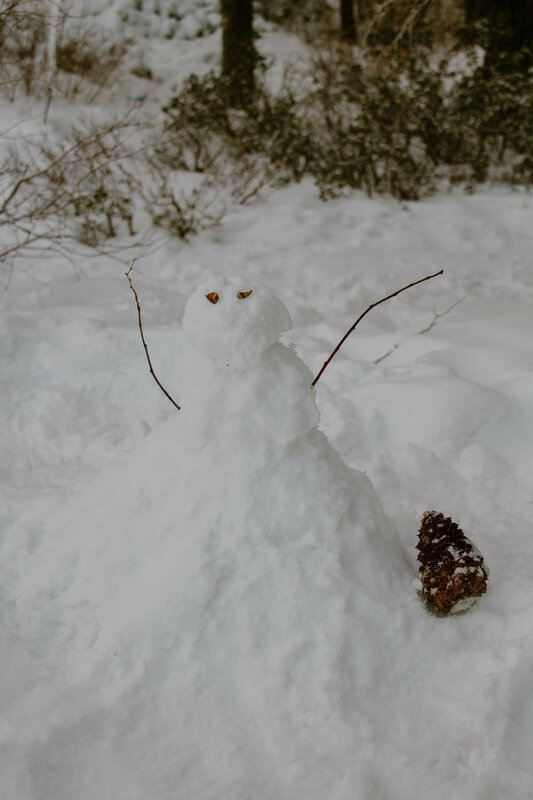 We of course couldn’t let our day in Big Bear come to an end without a little snow play and snowman making (*cue Do You Want to Build a Snowman). We found a little patch off of the road where other travelers were playing in the snow and decided it was the perfect spot to stop. I tried to build a snowman and honestly, it’s a lot harder than I thought it would be! The snow did not want to stay nice and round and proportionate so it ended up looking a little special haha. 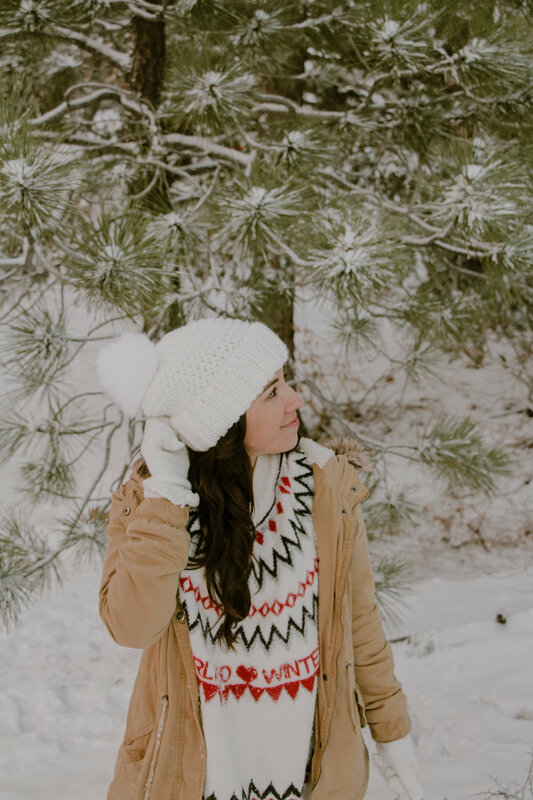 While our day in Big Bear was cut a little short due to the unexpected traffic, it was still super magical and definitely worth it! 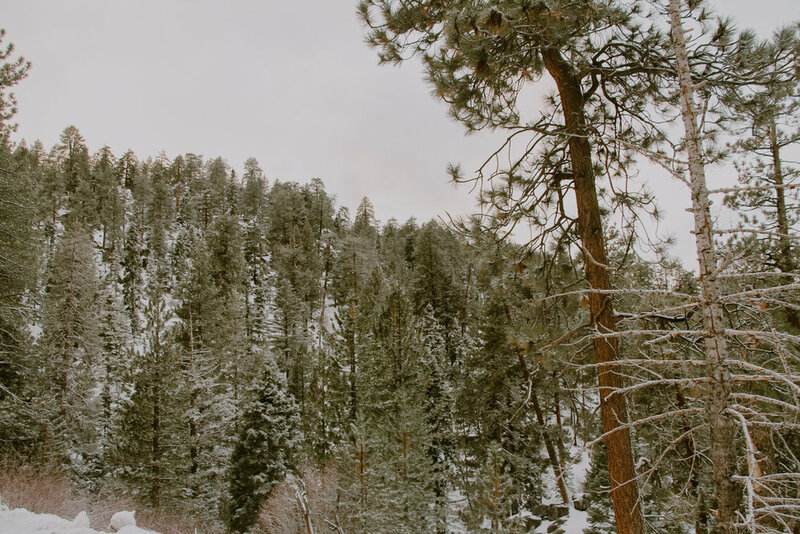 Next time, we definitely want to stay a couple of days in a cute cabin so we can really explore and see more of Big Bear. Have you visited Big Bear before? What’s your favorite thing to do there when visiting?